What a find! 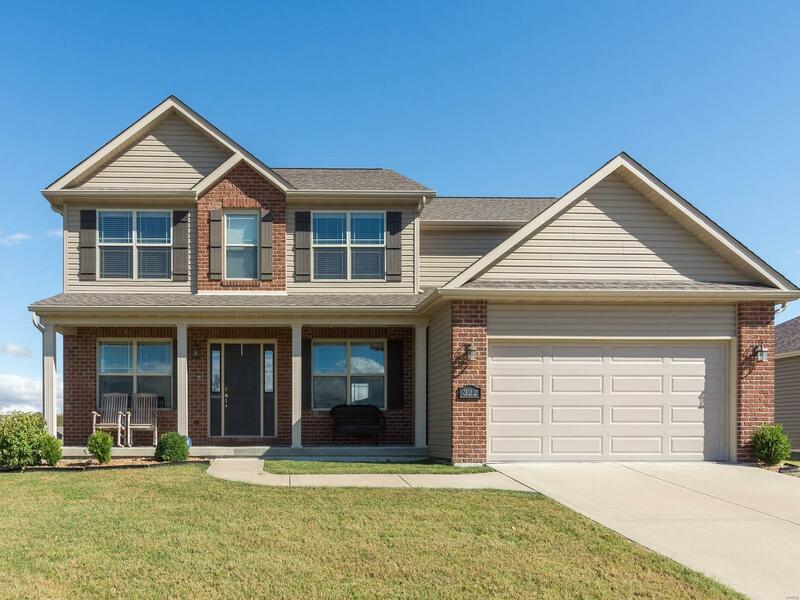 This beautiful 2-story with a finished basement is all you could ever want or need in your new home. Fall in love with the open concept floor plan and endless upgrades. Staggered cabinets, wood floors, beautiful gas fireplace, office area, formal dining... the list goes on & on. Whether you are enjoying the huge master suite with its additional sitting area or unwinding in your oversized family space in the basement, you will feel right at home here. Entertain on the huge patio overlooking the ample backyard complete with vinyl fencing or relax on the cute front porch. Located on a quiet circle street with great parking for friends and family. Don't miss this one! Call today for more details! Home has already passed municipal occupancy inspection. Move right in!